Monocle.com’s radio talkshow The Briefing is doing a special Nordic edition this week. Yesterday the show was broadcast live from Oslo, and Magne was one of the guests. 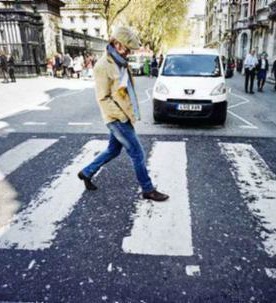 “Musically, right now I’m deep into a film score for a film called ‘Beatles’. I think it’s gonna be called ‘Yesterday’ over here. It’s actually the first time that The Beatles have allowed original material to this degree. There’s three full Beatle recordings in the score, and I’m supposed to write original music that can stand up to that. That’s a bit of a challenge (laughs). On the other hand, if I look at it differently this is a return to my own childhood. This is the music I grew up listening to, which inspired me to go out and make my mark on whatever world stage. It’s a little bit about returning to that feeling of growing up in a sort of a provincial place in the 1970s, where you had one hour of pop music on the radio every day. Kids today can’t even relate to that, but that’s what it was like. The whole interview can be heard here (starts at 45 minutes). Morten attended the funeral of The Monroes vocalist Lage Fosheim (1958 – 2013) in Oslo today, together with a-ha manager Harald Wiik. Other musicians present included Sissel Kyrkjebø, Espen Lind and a-ha touring musician Dag Kolsrud. 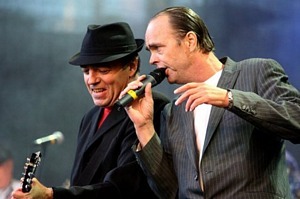 Lage Fosheim and Eivind Rølles formed The Monroes in 1982, which quickly became the biggest band in Norway – until a-ha had their breakthrough. Their first two albums spawned the no. 1 hits Sunday People (1983) and Cheerio (1985). 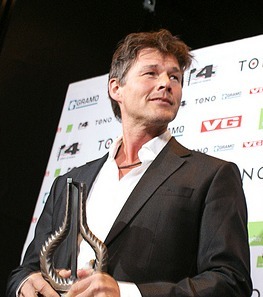 Fosheim later became head of promotion at Universal Norway and worked with a-ha and Morten on various projects. “This is sad and very unexpected. Lage was an unusually lively character. 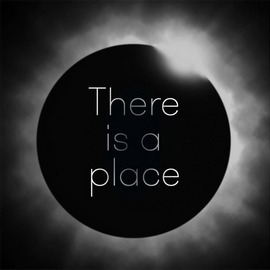 He’s been a central part of the Norwegian music scene since we started out. 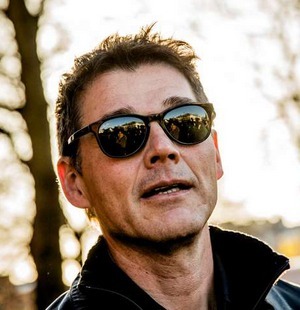 a-ha and The Monroes did many of the same things and cleared a path [for Norwegian pop music] in different areas”, Morten told VG before the ceremony. “Lage was an extraordinary guy, with a unique level of energy. He made a difference in the way he was, not least how he embraced each day. His death came very sudden for all of us who didn’t know he was ill”, Morten added to Her og Nå. Both members of The Monroes died of cancer this year, Rølles in March and Fosheim in October. Stolper + Friends, the Oslo art gallery that Magne co-owns together with Paul Stolper and Hugo Opdal, is set to close its doors by the end of the year. “Our owners have ongoing projects all over the world, and we have decided to close down the gallery. The company will continue, but we will instead focus on so-called “pop-up” exhibitions around Oslo”, daily manager Kate Smith tells Dagens Næringsliv’s paper edition. The gallery opened in September 2011 and has featured artists such as Peter Blake and Damien Hirst, in addition to Magne’s own projects. His Norwegian Wood sales exhibition, which ended this past weekend, was almost completely sold out. “Our exhibitions have been successfull, but our rental agreement at Tjuvholmen ends in December, so we decided to close down”, Smith says. The gallery’s last exhibition will be Art Under Pressure (8 Nov. – 22 Dec.), a smaller version of the Atelje Larsen group exhibtion which was held in Helsingborg, Sweden two years ago. 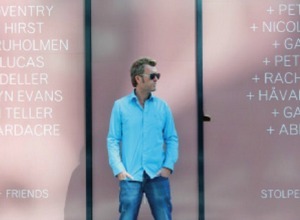 Magne and Apparatjik are among the artists represented.